All I can think about is scratching my left arm. Unfortunately, I have poison ivy. If you have had it, you know exactly what I am talking about. If you have never had it, be grateful. It’s a never-ending itch. Thankfully, it’s not severe enough for a visit to the doctor. I am treating it with over the counter medication, but I will continue seeking advice (and pity) from friends and family on the best remedies. 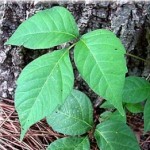 If you have poison ivy in your yard, you should definitely take steps to remove it. Protect yourself by wearing long pants, a long sleeve shirt and gloves. Do not burn poison ivy because the smoke will cause the same symptoms. 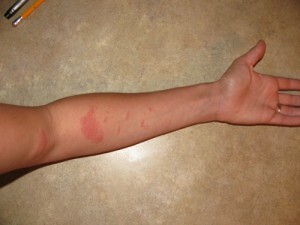 Hand pulling is very effective but be extra careful if you are allergic. Most recommend spraying with a herbicide labeled for poison ivy.